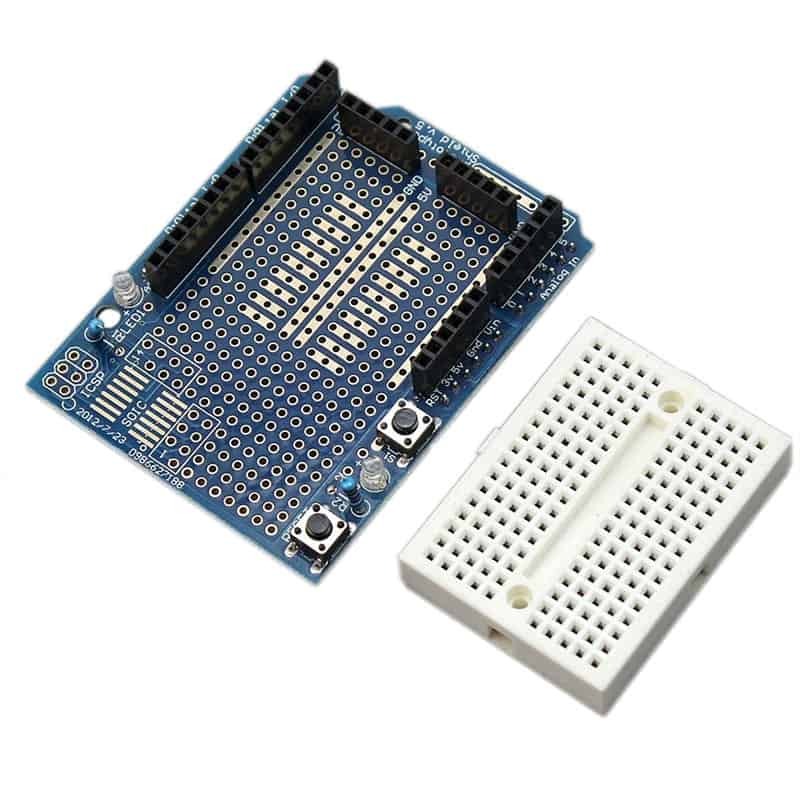 The Arduino Prototyping Shield makes it easy for you to design custom circuits. 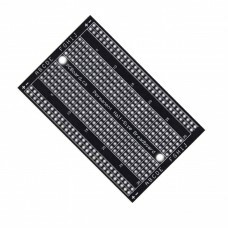 You can solder parts to the prototyping area to create your project, or use it with a included solderless breadboard to quickly test circuit ideas without having to solder. 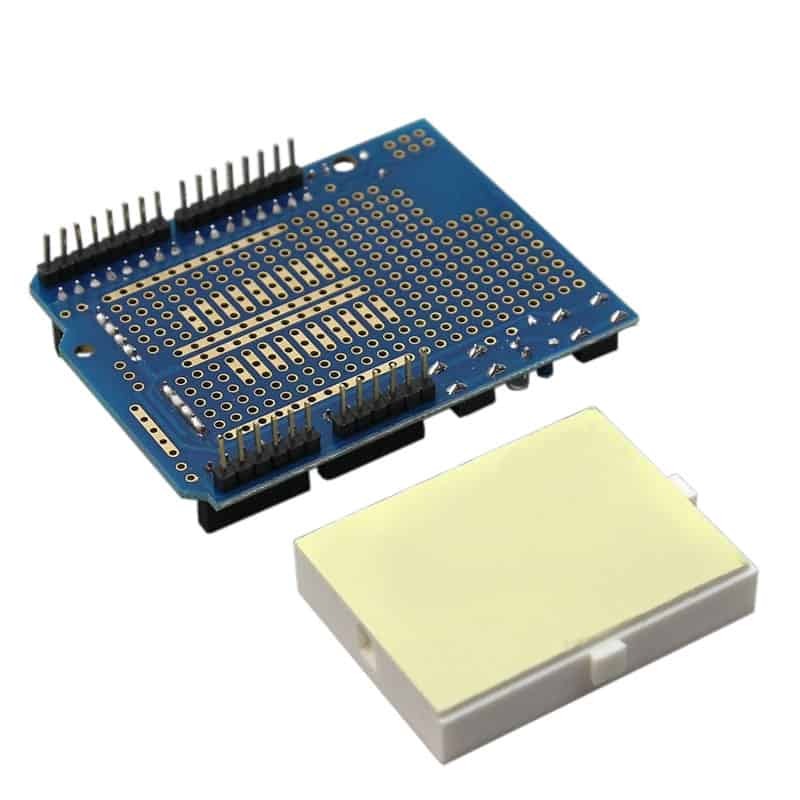 It's got extra connections for all of the Arduino I/O pins, and it's got space to mount through-hole and surface mount integrated circuits. 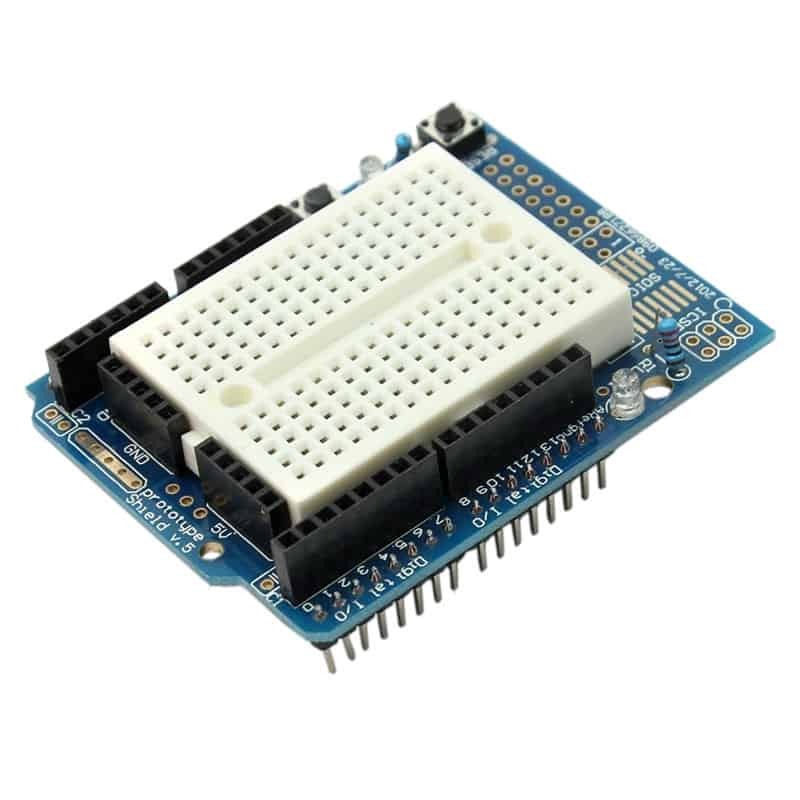 It's a convenient way to make your custom circuit and Arduino into a single module. 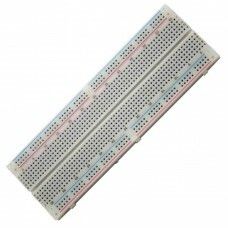 Included is a mini-solderless breadboard which can be mounted to the surface of the prototyping area using the attached double-sided tape. 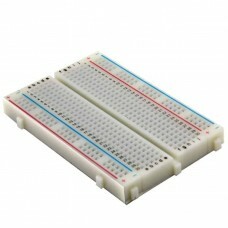 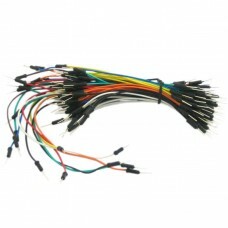 The solderless breadboard offers 170 connections. The Proto Shield bring the power from the Arduino standard 5V and GND pins to the two power bus, which can be used for powering the DIP sockets, or for power and ground rows. 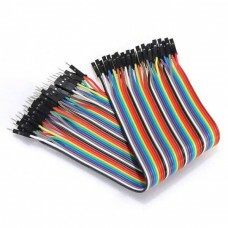 Experimenters Solderless Breadboards allow you to easily assemble and test circuits without the use ..
With these flexible jumper wires, you can easily provide electrical contact between components on a ..
Solderable Breadboard Convert Temporary Circuit To Permanent This is our Small Solderable Br..
Experimenters Solderless Mini Breadboards allow you to easily assemble and test circuits without the..